Growlersations, Ep. 19: Ken Bethea Of Old 97’s. In Episode 19 Of Growlersations, Sam, Jeff and Central Track Editor Pete Freedman Sit Down To Talk To Old 97’s Guitarist Ken Bethea About This Weekend’s Old 97’s County Fair Festivities. And this week, we’re drinking it with Old 97’s guitarist Ken Bethea — just days before the local alt-country act puts on the Old 97’s County Fair at Main Street Garden Park this Saturday. The one-day fest will feature the likes of Lord Huron, The Mavericks, Valerie June, Paul Cauthen, The Bottle Rockets, Erika Wennestrom, Jamie Wyatt and Bastards of Soul. Really, this whole weekend is set to be a celebration of all things Old 97’s. After last night’s Barley House gig, the band will stop by Kettle Art tonight for the “Beneath A Quarter Moon: 25 Years Of Old 97’s” exhibit curated by local photographer Jason Janik. And then The Statler will host an after-party Saturday night where most of the acts performing at the County Fair will also make appearances. So it was really cool, then, that amidst all the hustle and bustle and final planning, Bethea took the time to stop on by to join us in pounding a few glasses of BrainDead’s brews and talking a little bit of everything — stories from the road and of old Deep Ellum, controversial expressions of distaste for classic bands and movies, and what this weekend’s festivities are all about. Growlersations never ceases to surprise me on how quickly a 45-minute chat can fly by, and we were not short on conversation this week. 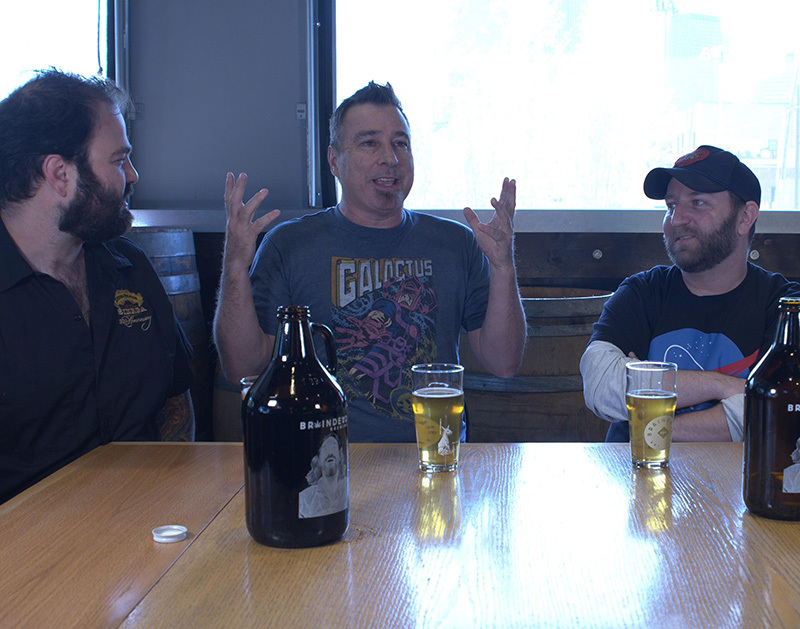 I had also hoped to throw a few questions at our second guest, Central Track editor Pete Freedman, but time flew by and the growlers of Kölsch and Irish Stout were empty before we knew it. We had a great time, though! And that’s what counts. So pour yourself a glass of your favorite brew, kick back and enjoy this week’s Growlersation. Cheers! Previous ArticleSongs Of The Week: Luna Luna, Noogy & More.